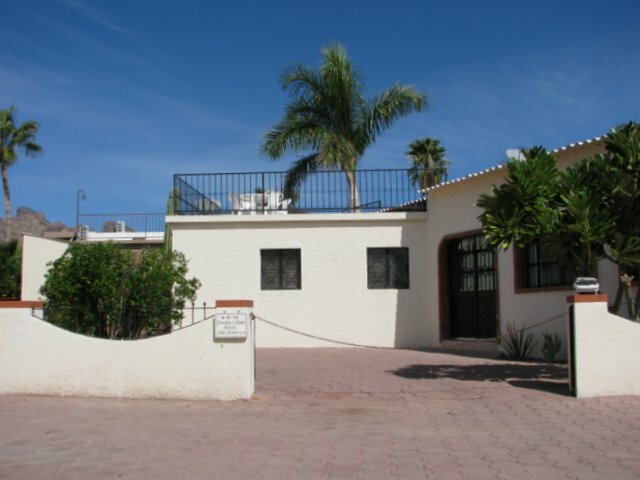 2 bedroom, 2 bath home across from the club house & pool, new kitchen with pantry, new bathroom with shower, 3 minisplits. 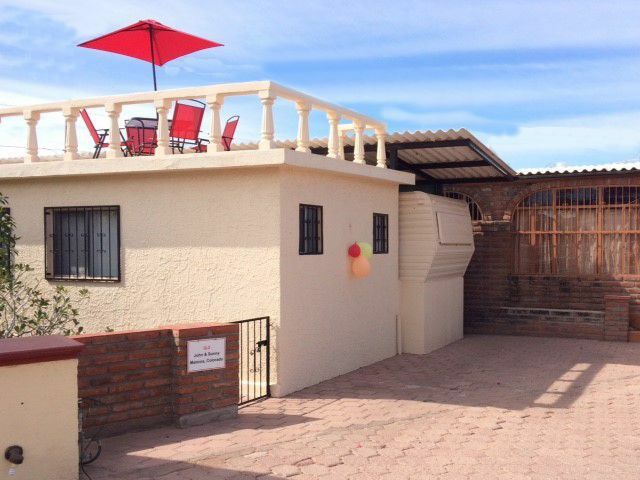 2 bedrooms, 1 1/2 bathrooms, cozy, clean and well designed unit for living comfortable. Washer, dishwasher, 6 burner gas range, and refrigerator. Enjoy the deck, and beautiful view of mountains and ocean. Good parking and storage. 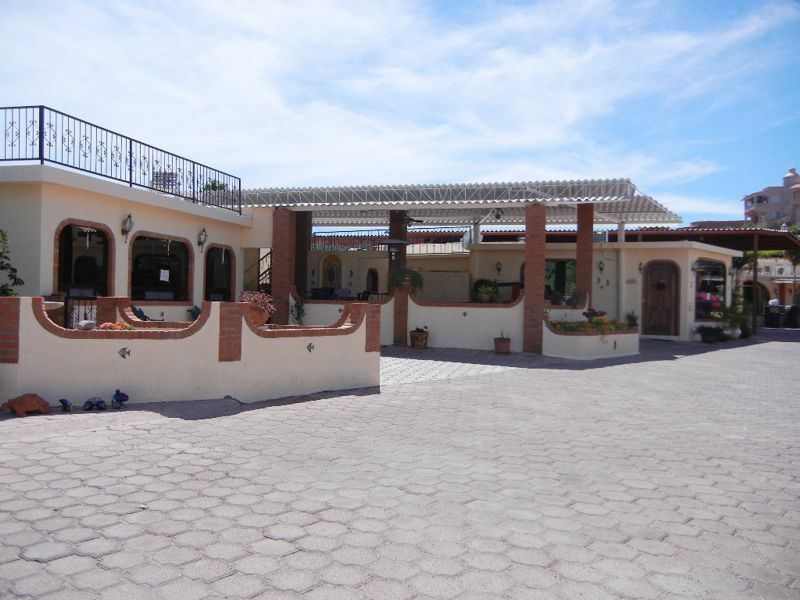 Spanish Style Home, turnkey and completely furnished. 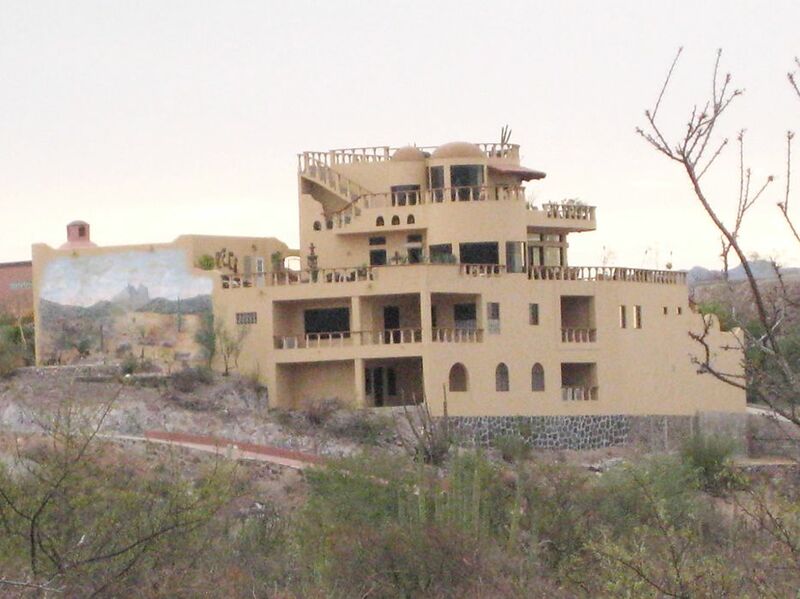 Lovely bedroom and bath, covered patios and a margarita deck with beautiful mountain and ocean views. 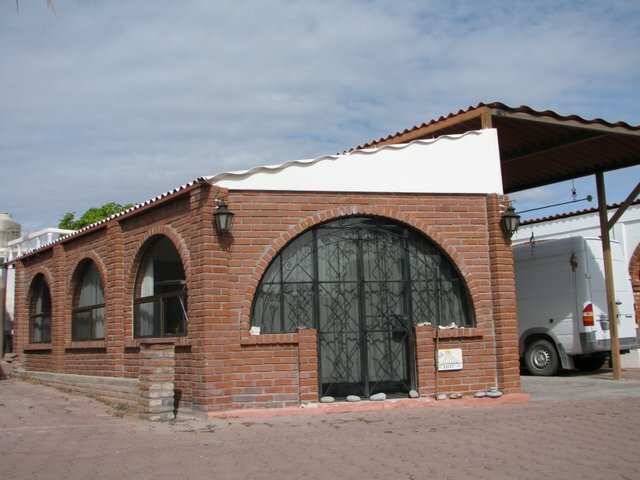 Arches, wrought iron, screens and storm shutters. Perfect for winter or year around living. Many upgrades, kitchen and laundry. We love the special garden and patio off the bedroom. 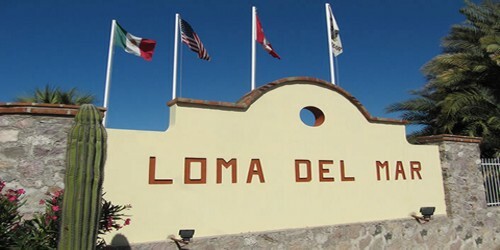 The arches, colors and decor are traditional Mexican and our friends love to stay in the trailer, relax and look at the views. 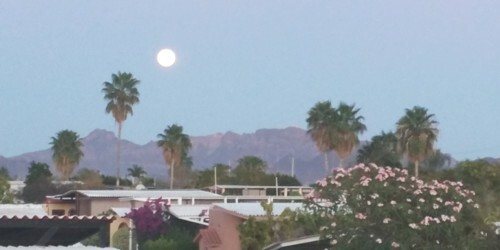 Patios and gardens make a nice place to read and watch the sunrise and sunsets, don’t miss this one, it’s a real peach. Includes large lots directly across the street from the home paved and partially covered with parking and storage for travel trailers, boats, cars and ATVs. All the space you will need. 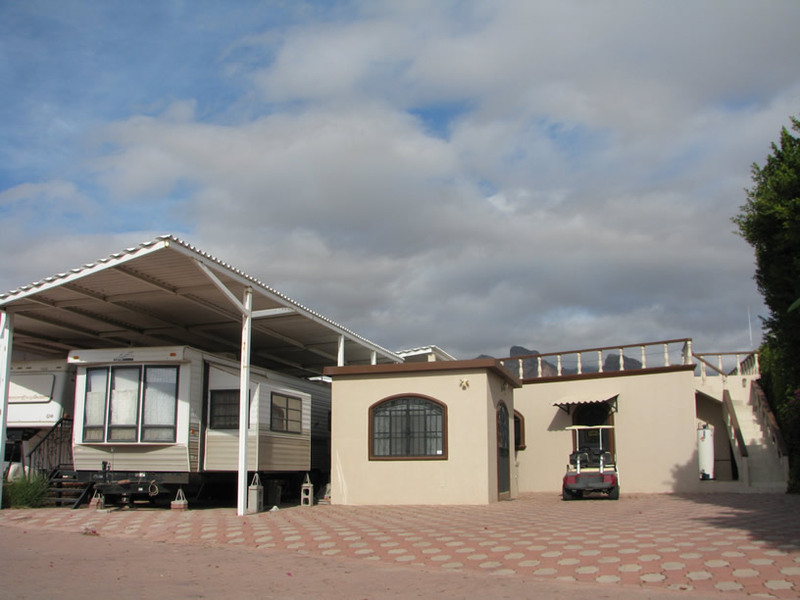 Fifth-wheel trailer and bodega, furnished, 2 bedrooms, 2 bathrooms, and nice patio area. 1995 vintage trailer 30ft with slide out and some upgrades. 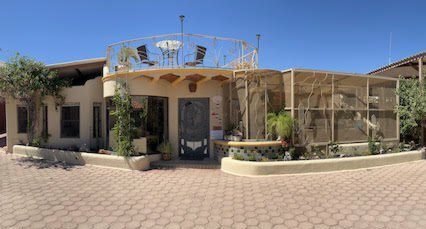 Also, 30ft screened porch with ceiling fans, hammock hooks, storeroom with AC and a margarita deck with mountain and ocean views. 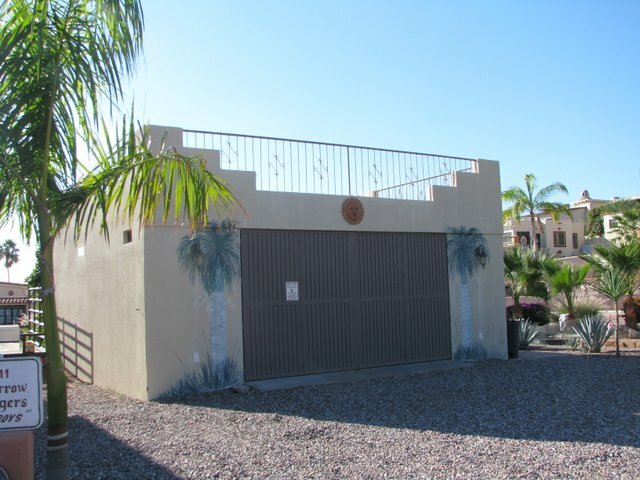 Carport, palm trees and greenery all inclusive. 1 bedroom 2 bath 5th wheel and bodega. Patio,deck, all furniture, dishwasher, washer, a/c, heater, water heater, parking for vehicle, RV and boat. 5th wheel is like new. Small trailer with new construction kitchen extension. Two bedrooms, 1.5 bath. 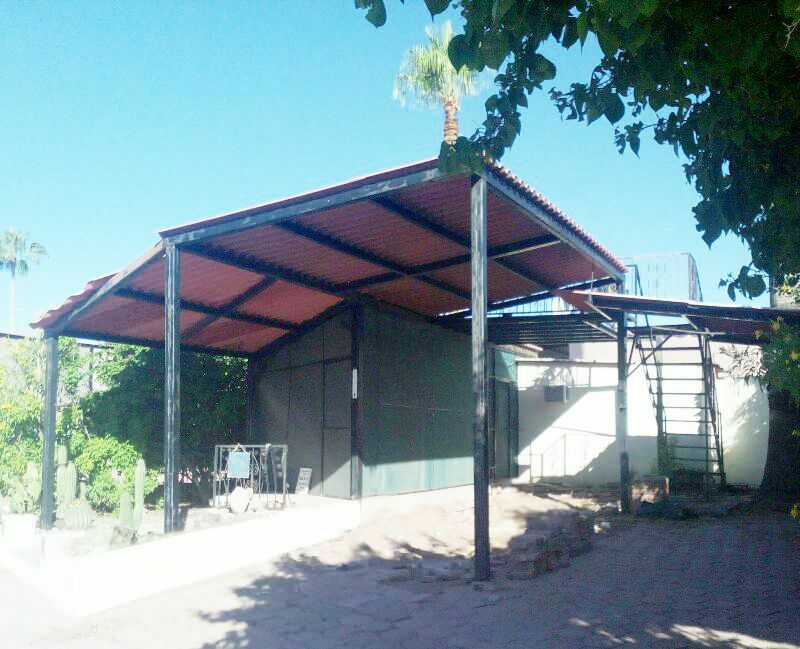 Patio, covered parking for two cars. All furniture and appliances. A/C. Fruit trees. Very cozy. 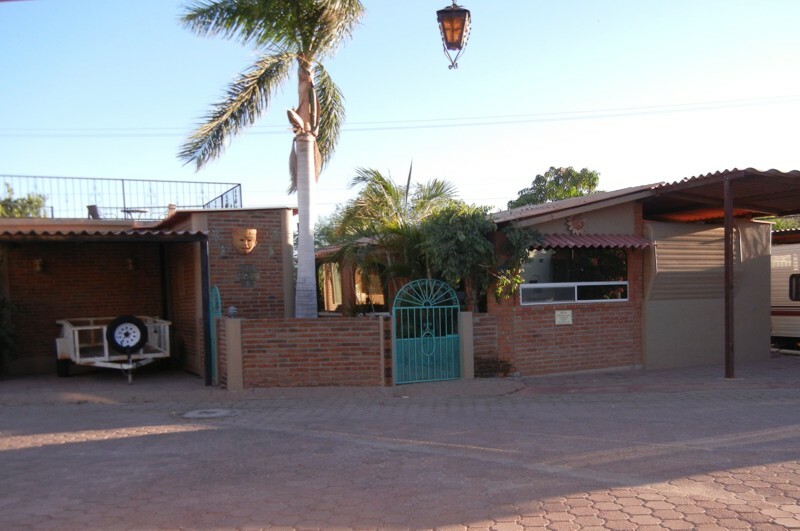 This 2 bedroom, 2 bath home has it all. Ready to move in. 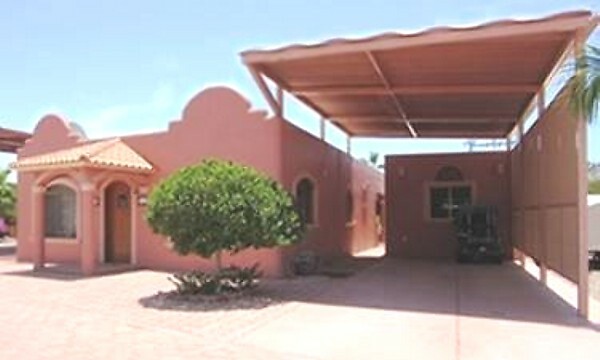 Beautiful interior court yard, separate office,margarita deck, detatched casita, bodega full of tools, speakers all around the house, floor safe, large tonaka with pressure system, r-o system at kitchen sink and fridge, water system for outdoor plants, huge shower, beautiful mexican style interior, parking for vehicle and RV with hook ups. Furniture, decor stays. A must see! 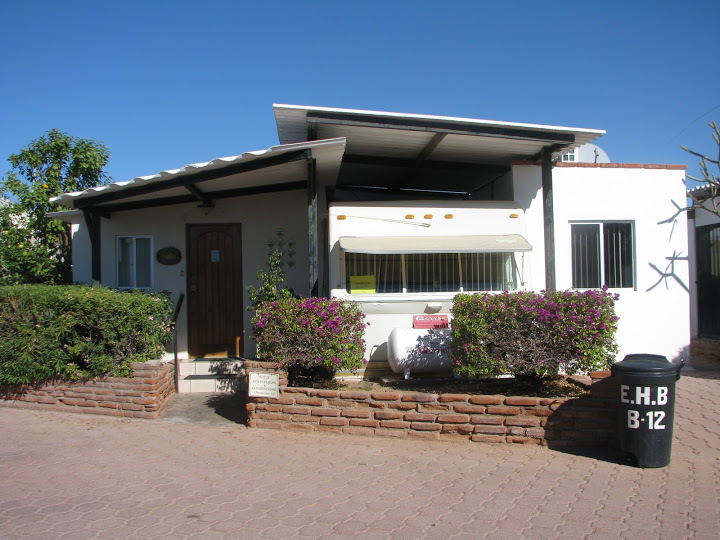 Modern, sunny and cute 2 bedroom 2 bath with optional 3rd bedroom or office. Sleeps 6, has open floor plan with huge covered patio and parking. Full size appliances including W/D and a dishwasher. Fenced area for your furry friends. Fully furnished. Furnished and ready to move in. 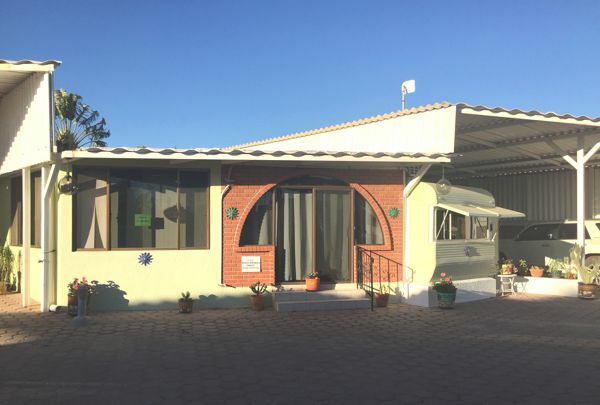 It has 3 bedrooms, 2 1/2 bathrooms, 3 TV's, dishwasher, washer & dryer, gas fireplace, 3 air conditioner/ heaters, trailer with air conditioner/ heater, storage bodega, water storage with pressure pump, deck, patio with BBQ & sink, covered parking, located next to green-belt with fountain, and boat also available. 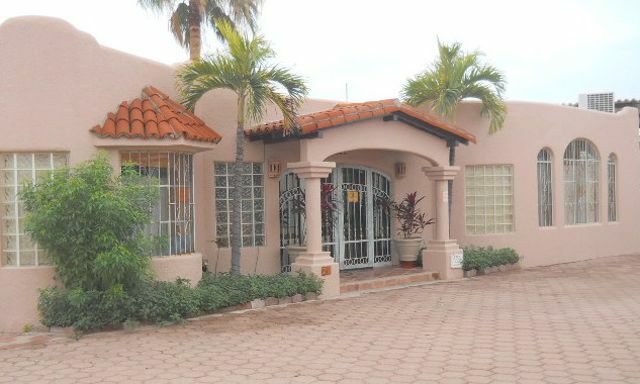 Furnished, 3 bedrooms, 2 1/2 bathrooms, large kitchen with island & domed dining area, living room, computer room, private patio with access from bedrooms, washer/dryer, freezer, 1 refrigerator, 1 bar refrigerator, 4 air conditioners, deck, and covered parking for boat/RV. Clean, well kept small functional place. 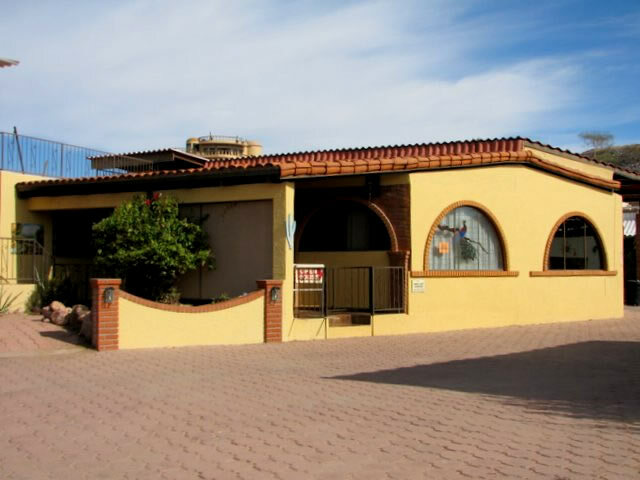 Two bedroom and two full baths with large tiled shower, washer and dryer, A.C. Patio and Sun Deck with ocean and mountain views. All furniture stays. Gas stove and water heater. Single car parking. 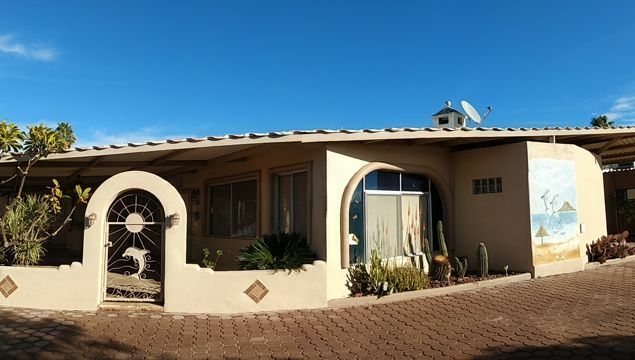 One Bedroom, One Bath, 1,200 sqft, 2-hand hammered bath copper sinks, laundry room, large margarita deck w/ ocean & mountain views, AC, window shading, parota kitchen cabinets & BR closets, great paved back patio, storage room, 50’ covered RV parking & utilities. Front, side, back doors.Great location. Most furniture including couches, entertainment center, wooden bed, DR table & 6 chairs, all kitchen appliances,3’x4’ bath mirror, W/D, curtains & blinds stay. 1 bedroom, 1 bathroom starter. Kitchen, bathroom and storage room. 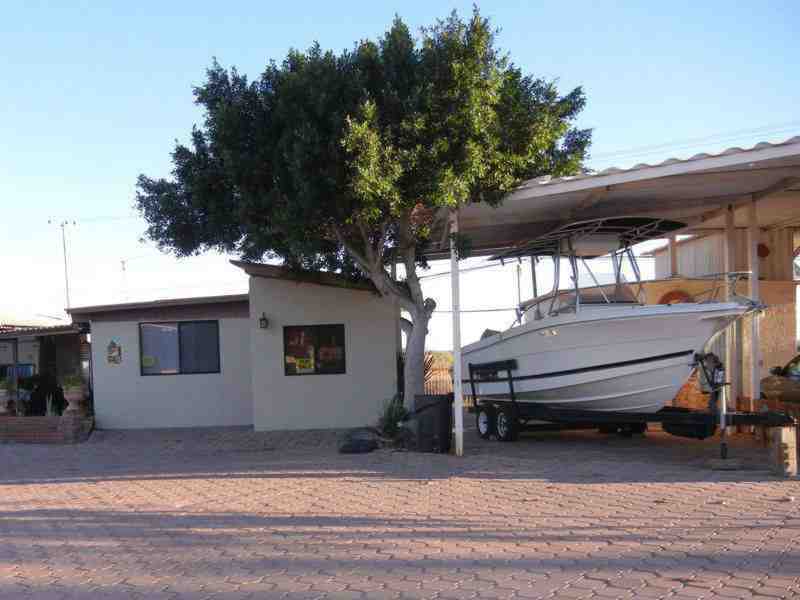 Patio, margarita deck, and parking for two vehicles including boat and RV. 1 bedroom 1 bath. Has new open concept kitchen/front room. New sealant on bedroom and bathroom roof along with new closets and drawers in extra large bedroom. Fountain courtyard, next to green belt. RV, boat and vehicle parking. All but kitchen table, china hutch and dry sink stays. 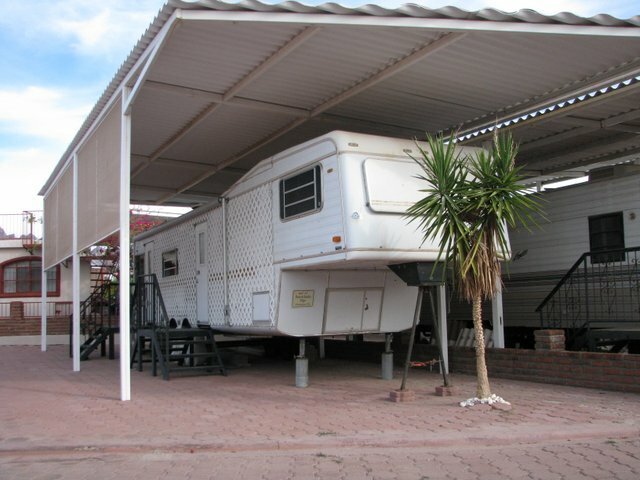 Furnished, 35 foot 5th wheel trailer, 1 bedroom, 1 bathroom. 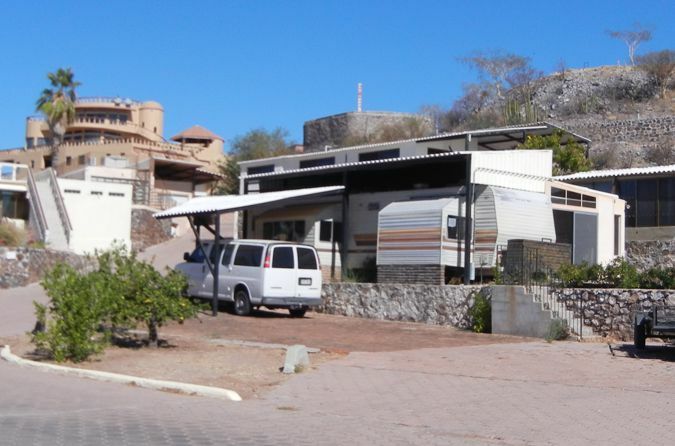 Entire lot is covered with adoquin pavers, trailer has a ramada cover, and sun shade screens on West side. Everything inside trailer stays. Patio and good parking. 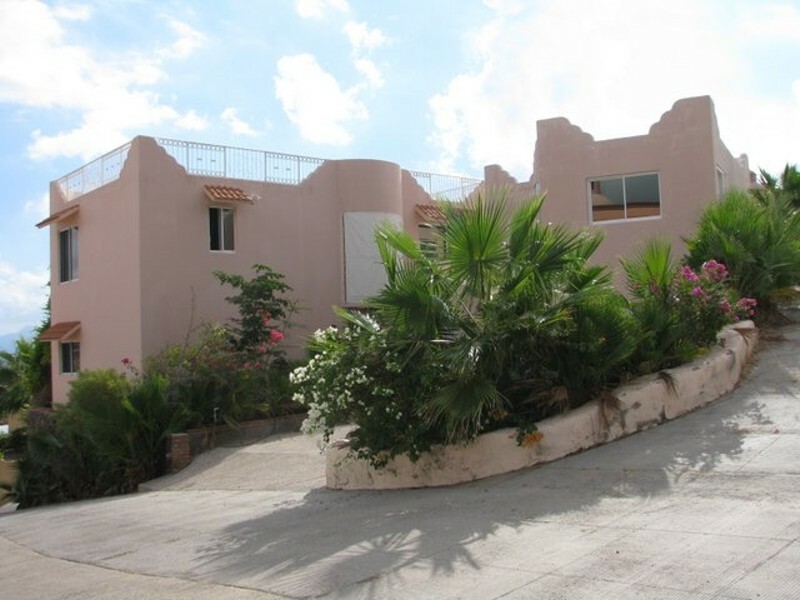 New house, furnished, 1 bedroom, 1 bathroom, large rooms, paroda cabinets, kitchen has island, appliances, 2 refrigerators, 2 freezers, 1200 square foot deck, 2 RV complete hook-ups, pressure water system, satellite dish, outside sink, guest casita with full bath, and separate, furnished, 1 bedroom, 1 bathroom guest trailer. Large comfortable living space. Large bright kitchen with lots of workspace and pantry. There are two bedroom and 1.5 baths. 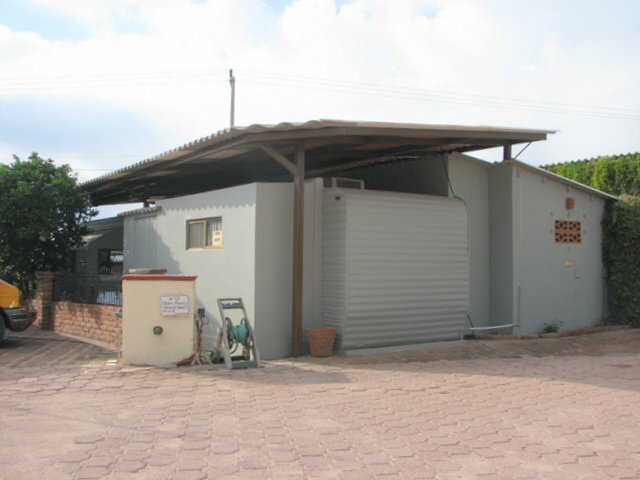 All furniture is included as well as the electric appliances and kitchen utensils. Turnkey and ready to move in. 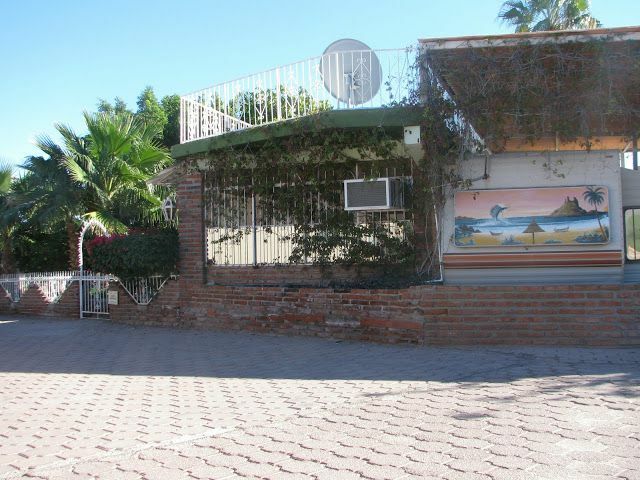 Outside there is a large brick patio with fruit and palm trees, also a bodega with a tool bench and storage. 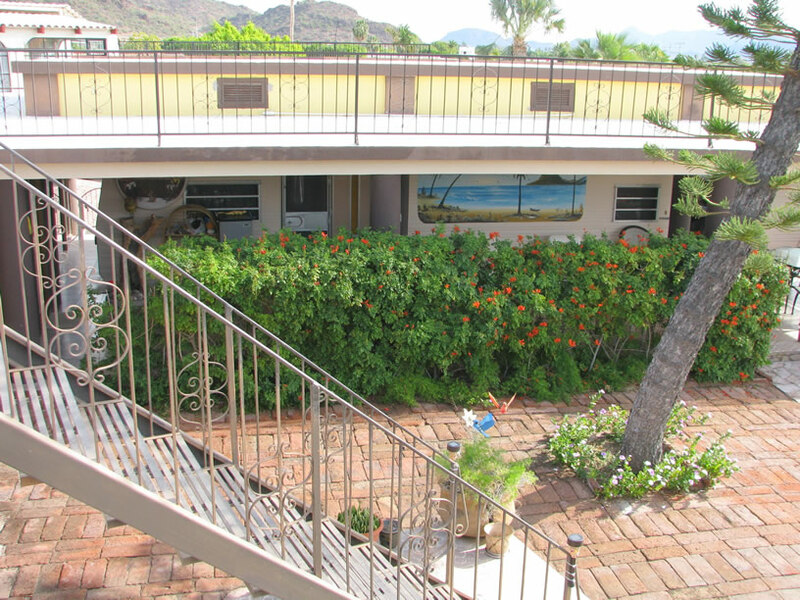 Upstairs there is a large deck with mountain and ocean views and there are two large covered parking areas. This home has a unique design with a modern kitchen, living and dining room together. 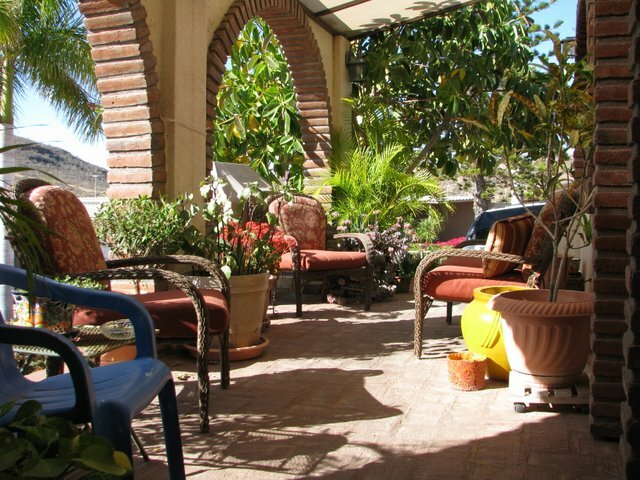 Then a large open patio with views of the gardens and mountains behind. And on the other side is a large sitting room, bedroom and a spacious tile shower. If fact there are two bedrooms and bathrooms. The fine furniture is negotiable and there are fruit trees and good parking for 3 vehicles plus an RV hookup. Terms for buyer. 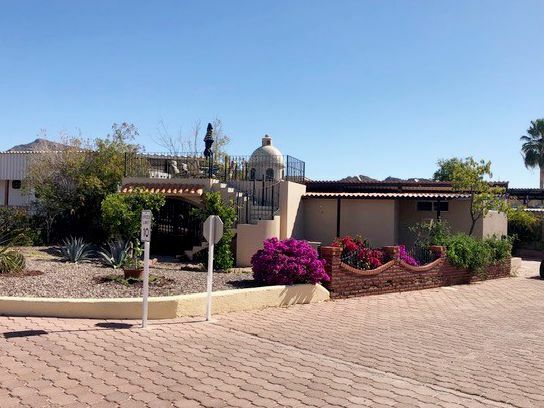 Great views of mountains and ocean, 3 bedrooms, 3 1/2 bathrooms, pool, fountain, gas fire pit, guest apartment, covered wet bar, cactus garden, 2 car garage, hobby/craft room, huge shop, patios everywhere including margarita deck on roof. 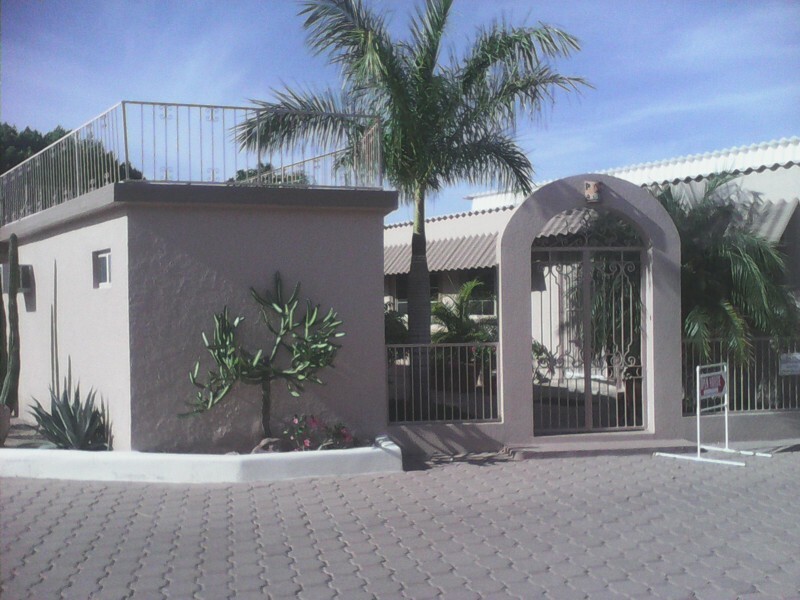 2 Bedroom, 2 bath, All newly redone home, no termites. Move in ready, Includes furniture. 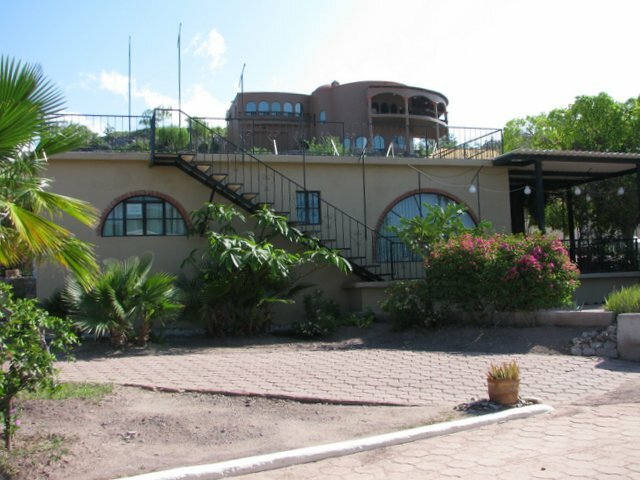 Large home on top of hill, excellent views overlooking Park, mountains, and ocean. 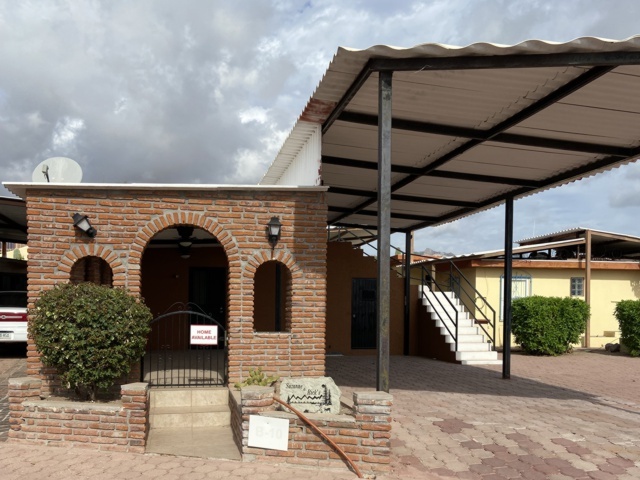 Furnished, 1 bedroom, 1 1/2 bathrooms, living room, kitchen with pantry and dining room, laundry room, office, TV room, and double garage on main level. Separate, complete apartment on lower level. Direct TV, cable, internet, lots of storage, and 4 terraces. 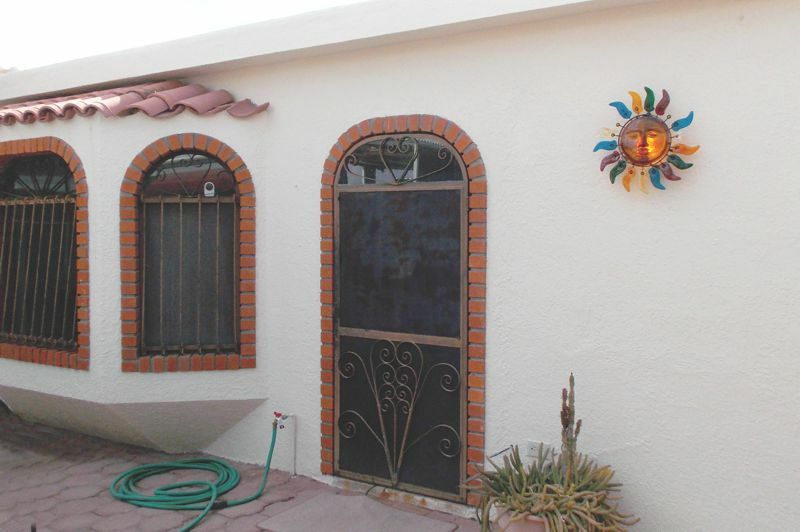 Newly remodeled and enlarged two-bedroom, two bath home. New Kitchen with new Appliances. New bedroom and bathroom, new washer and drier. New paint throughout, air conditioned, all furnishings included. 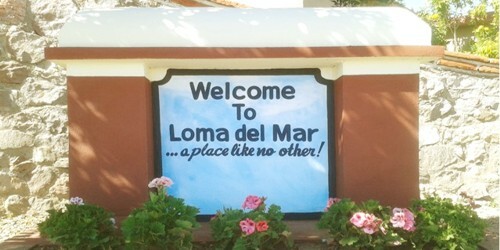 Across from clubhouse & pool, furnished, 2 bedrooms, 2 bathrooms, washer/dryer, 2 air conditioner/heaters, large 12 x 40 covered patio, separate guest trailer, very large deck with ocean view, and extra large parking area. 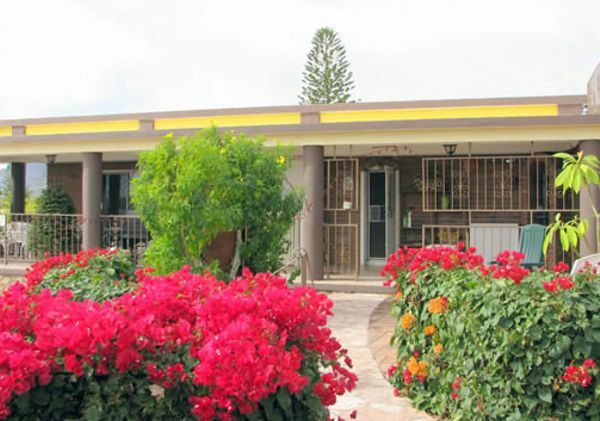 Furnished, 2 bedrooms, 2 bathrooms (master bathroom recently remodeled), large great room, large yard/patio and deck with ocean view, laundry and guest quarters in trailer, extra large parking area, across from clubhouse and pool. 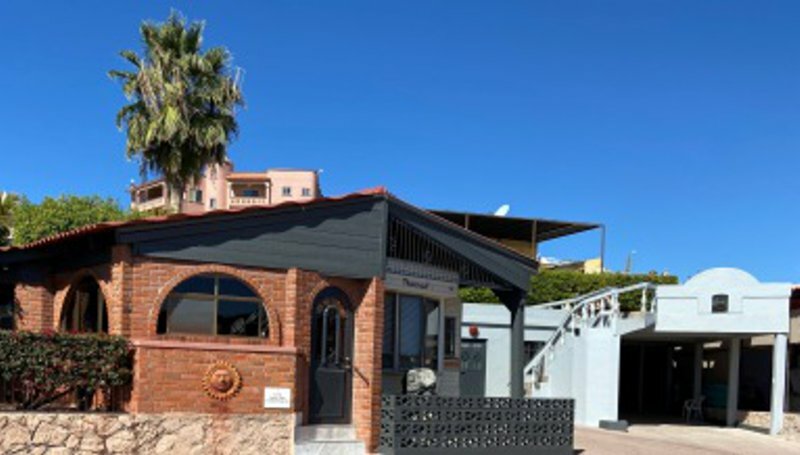 2 bedrooms, 2 bathrooms, completely furnished, move in ready, great sunshine in winter, heats house - no need to run heat, deck with great view of Park and ocean, green belt, and large paved parking area. 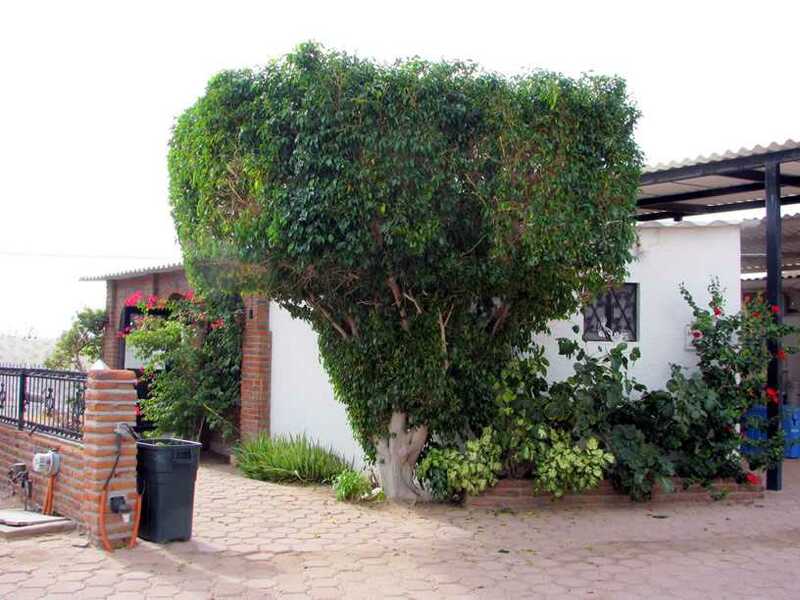 Great corner Estate lot that is completely landscaped. One bathroom, all utilities, and has deck and patio. Good parking for vehicles, boat, RV or other toy storage. Could easily be made into a home. See to believe. Well maintained 3 Bedroom / 2 bath home with shed, RV parking with hookups, fenced yard and patio, overlooking beautiful gardens. Furnished except for personal belongings. 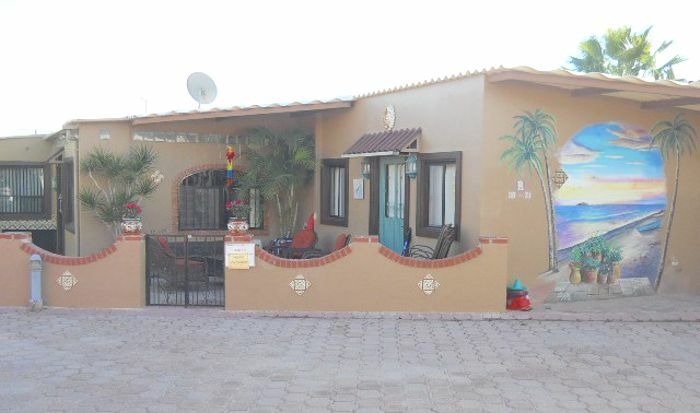 Includes gas range, refrigerator, washer, dryer, AC Heat split, lease to 2044. 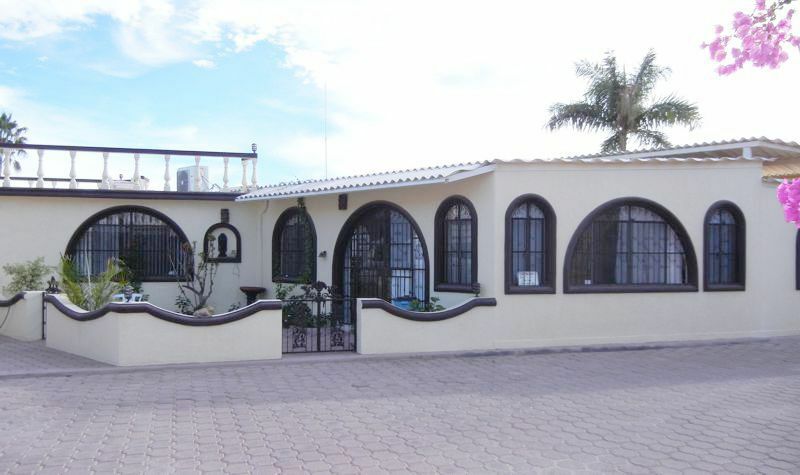 3 bedrooms, 3 full and 2 half baths, Excellent views. Stainless steel appliances, cupolas/domes in kitchen & living rooms, custom cabinets, spectacular outdoor and indoor kitchens, dishwasher, freezer, deck, 5 air conditioner/heaters, washer/dryer, separate guest casita, flagstone covered patios, walkways and driveway, exterior weatherproof rolling shutters, sun shades, all furniture, private, large ramada 30' x 70', adoquin, RV/boat/car parking, 50 amp RV hook-up, 2 car garage with work bench and 1/2 bath and mature gardens. 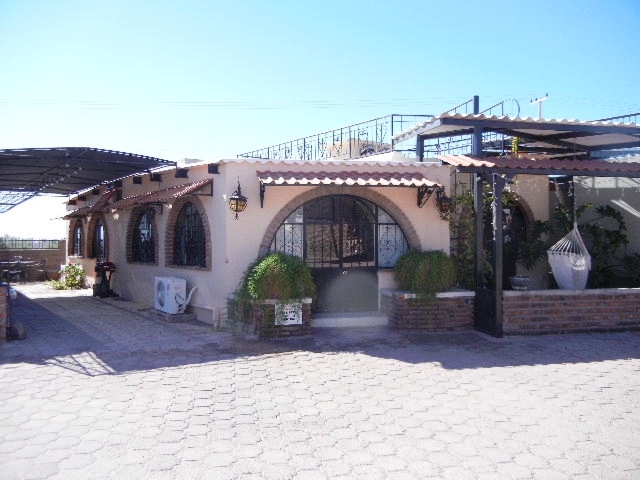 2 bedrooms, 2 bathrooms, Remodeled, Large bodega/ living room, storage, air conditioner, washer, dryer, water tank and pump, patio with fountain. Fruit trees, R/V hookup. space for 50ft boat. Elevated site with panoramic view. Cash offers only. 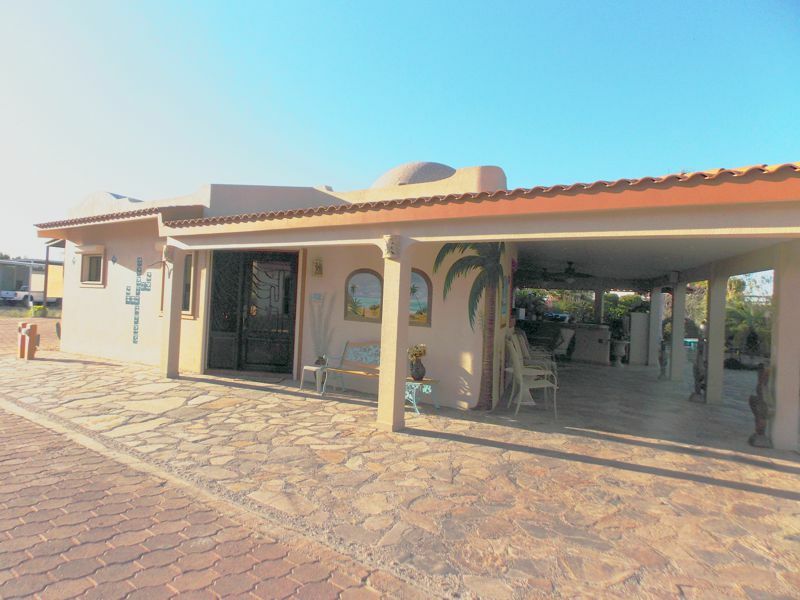 A covered patio, margarita deck and many mature fruit trees go with this place. 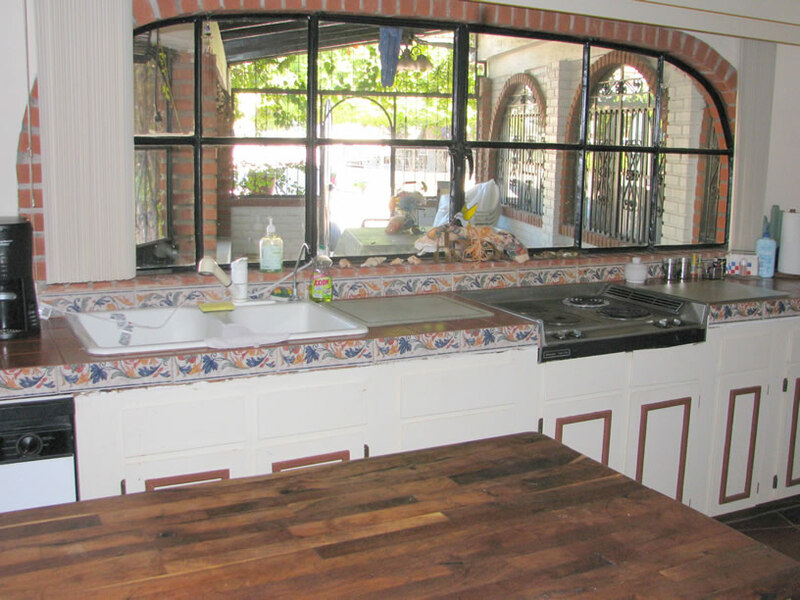 Nicely tiled kitchen, cabinets, dining and living room. All furniture and appliances go with. Two bedroom, nicely tiled large shower. 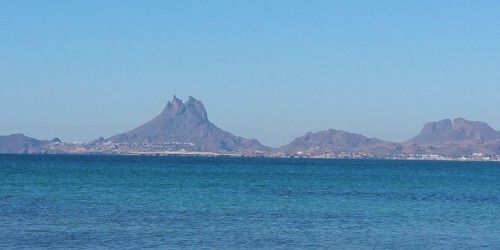 Quite large separate casita. Parking for one vehicle, plus ATV, kayaks or bicycles. This 1 bedroom 1 bath trailer has a connecting large living space with a wall of cabinets. 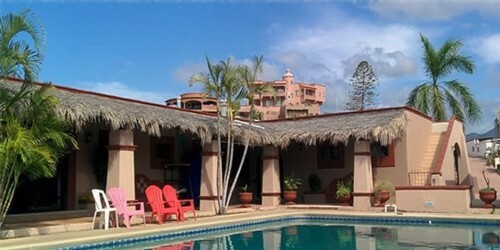 THe property offers a large courtyard with fruit, coconut trees and fountain. 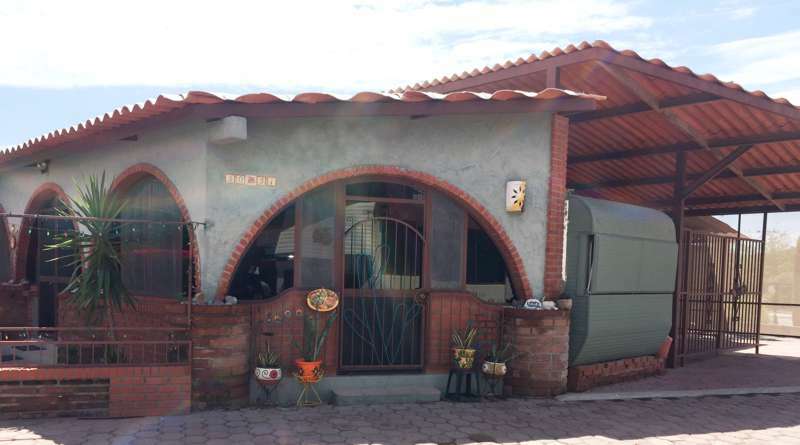 Separate casita with washer, dryer and storage. Has A/C and fridge. 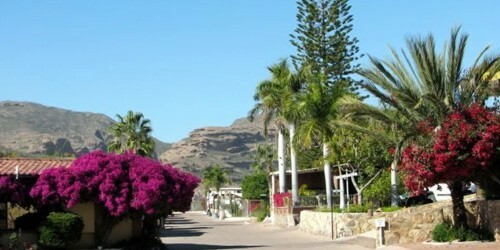 Everything is included, reduced price for quick sale! 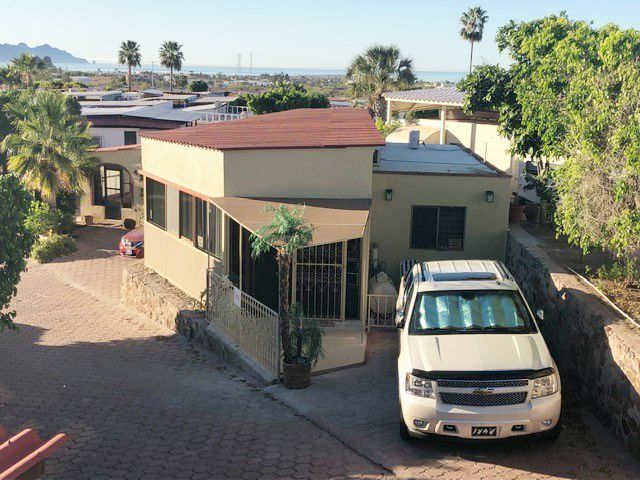 Furnished, 1 bedroom, 1 1/2 bathrooms, all appliances, washing machine, TV, BBQ, fenced yard, private, lots of storage, citrus trees, linens, dishes, cookware, deck with view of ocean and tetas, 50 gal. water heater & large propane tank. 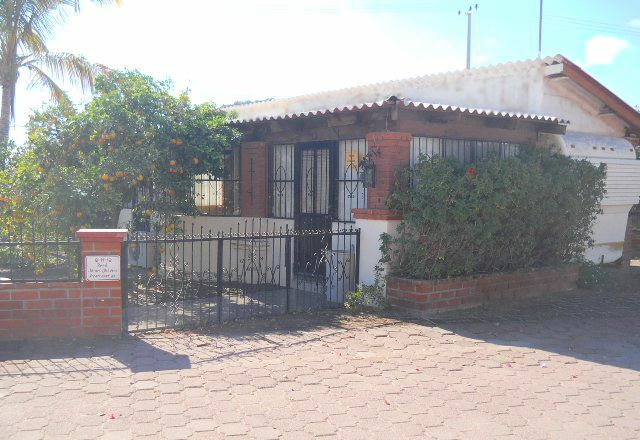 2 bedroom 2 bath home. All furnished and ready to move in. 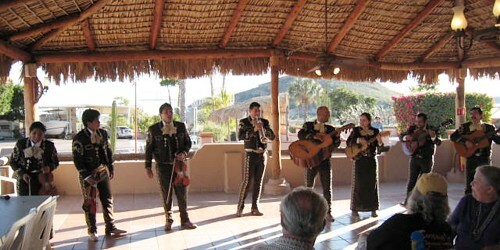 Margarita deck, patio, covered parking. Freezer, W/D, 2 mini splits. Lease until 2023. 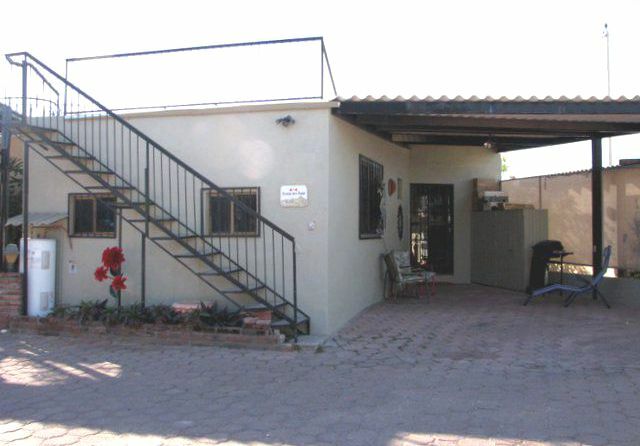 Well designed two bedroom, two bath home with large living room and kitchen. 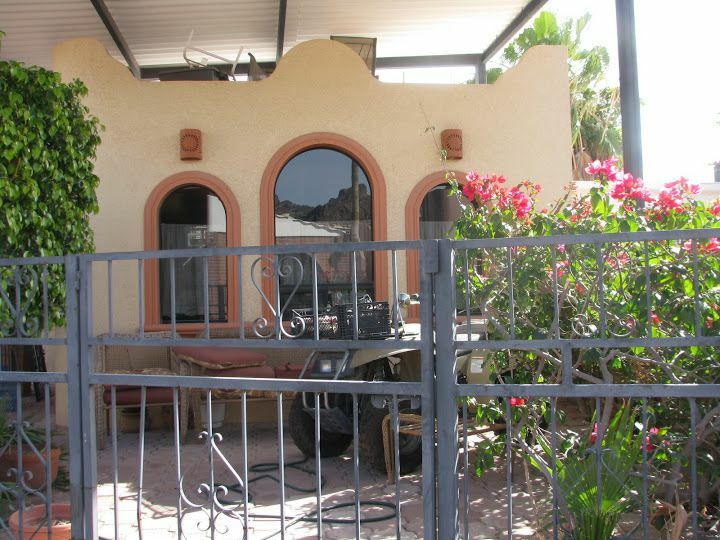 Separate dining area with large pantry, nine ceiling fans, upgraded plumbing fixtures, air conditioning and heat unit. All appliances and furniture included. Large covered rear patio with fish sink and cabinets. Bodega (7‘ x 11‘) with shelves and work bench. Tiled sundeck with ocean and mountain views. 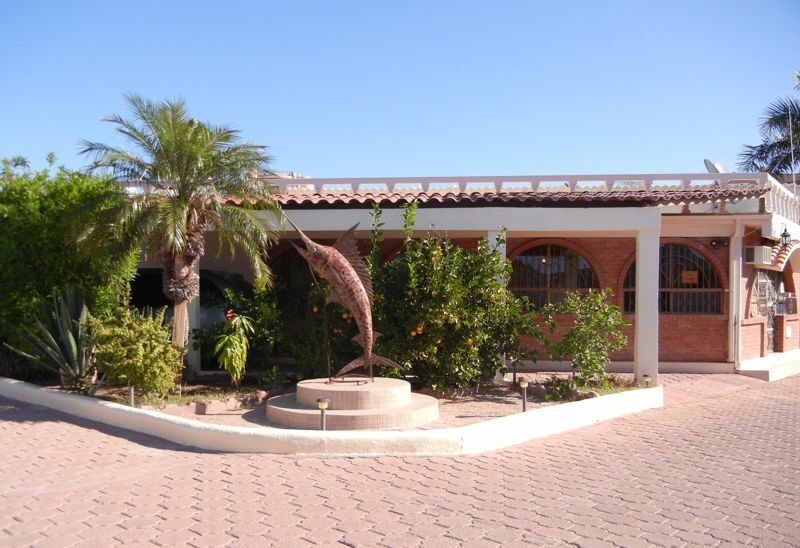 Just a few steps away from clubhouse, pool and activity center. Lease is paid to 2044 (over a $20,000 value). Beautifully appointed home. Fully furnished in showroom condition. Two bedrooms and two bathrooms. Appliances included dishwasher, washer & dryer, freezer, bbq, tv and more. Craft room with large pantry. Covered patio with bar for entertaining and lazy afternoons. Plenty of storage & shed. Covered parking. 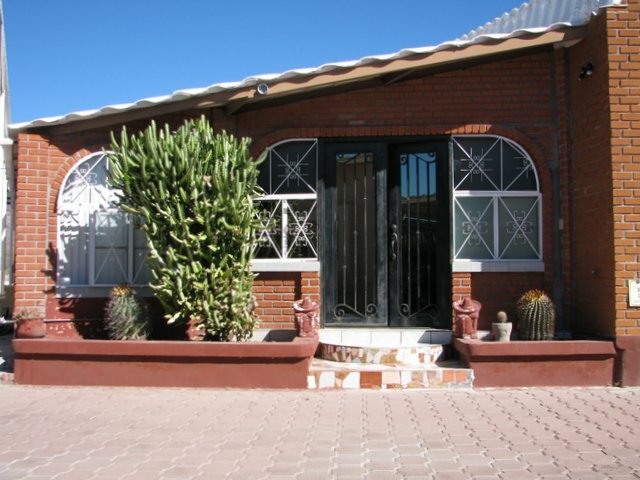 Furnished, 2 bedrooms, 2 bathrooms, open floor plan with lots of windows that make it sunny & bright in the Winter. Also includes bed/bath linens, table/glassware, & kitchen utensils to make this home move-in ready for the new owners. Includes 1 large stained glass window in great room. Kitchen has an island, lots of cabinets/storage space, & built in desk/computer area. 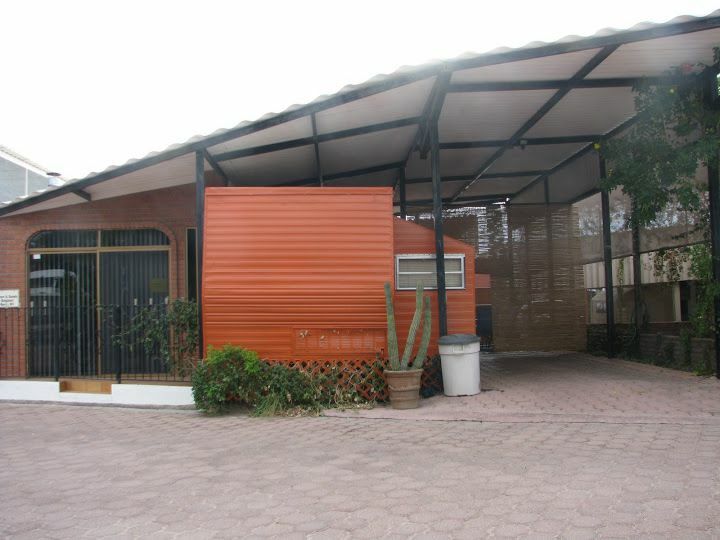 Private fenced & covered patio with outdoor cabinets & sink. 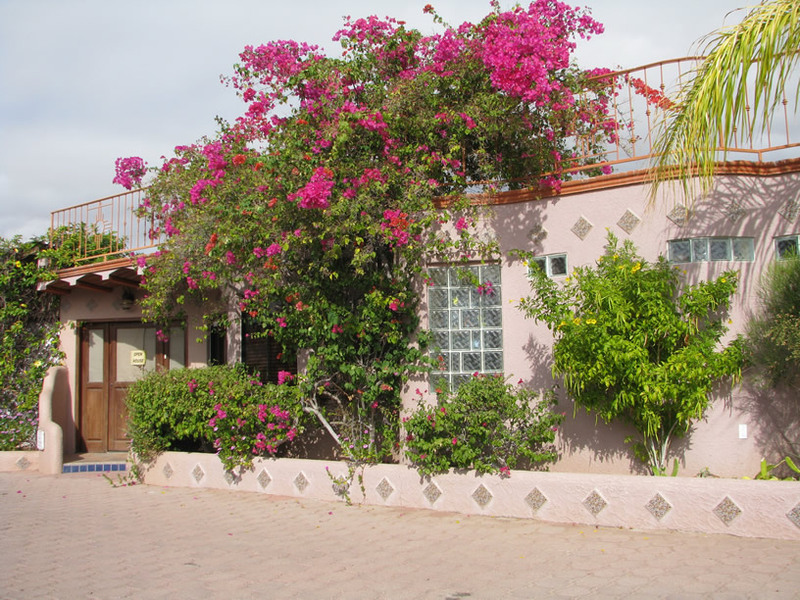 Separate roomy casita guest room with full bath. Outdoor workshop area with storage. 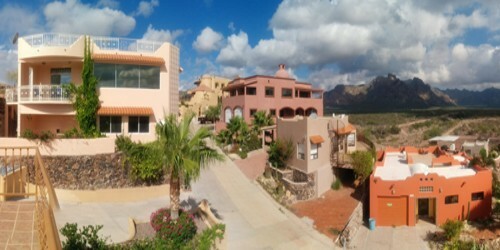 Desert/ mountain/ ocean view from rooftop deck. 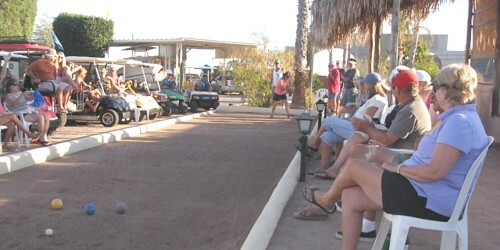 Two large covered parking areas for vehicles, boat or RV. 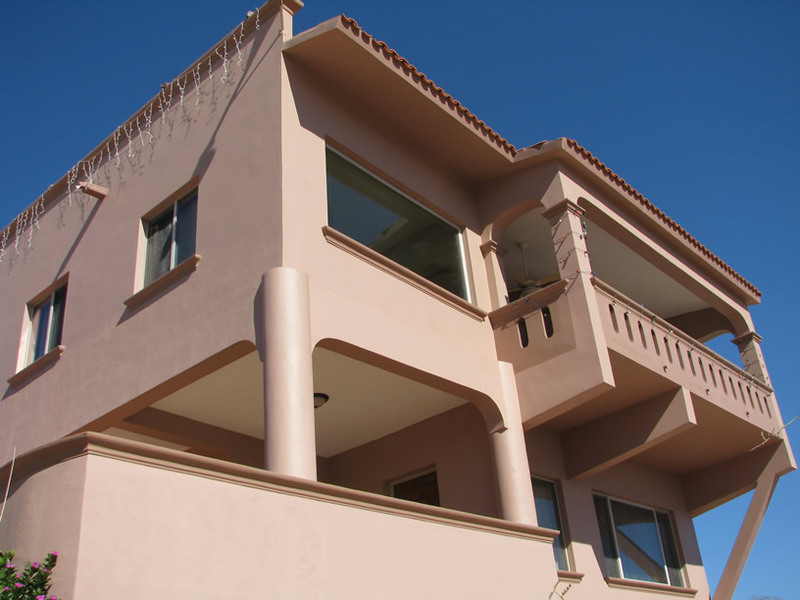 3 bedrooms, 3 bathrooms, completely furnished. Beautiful home with amazing views. 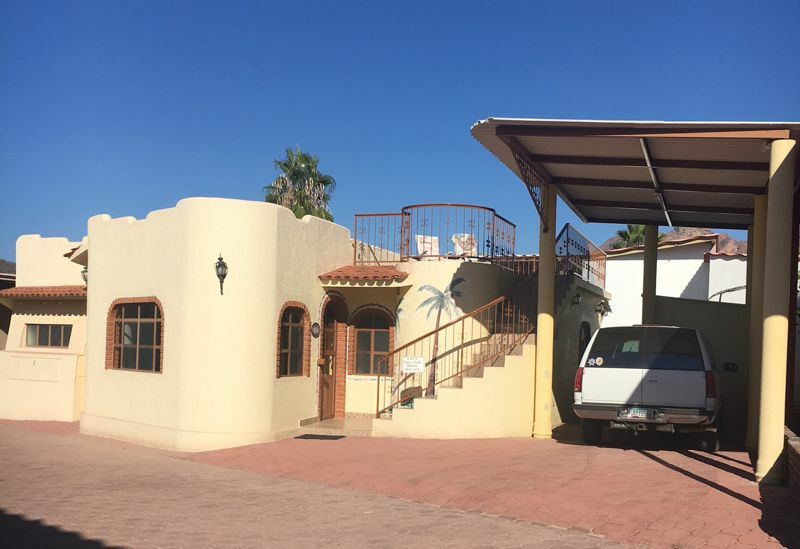 100 sq ft guest casita, with bath, two storage sheds, covered car / boat/ RV parking, plus covered carport, large upper deck with furniture, tiled patio, outdoor sink and counter, fruit trees, weber gas grill, All appliances included: range, refrigerater, microwave, washer, dryer, freezer. 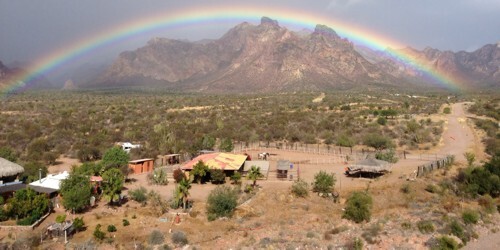 Two bedroom, two bath, guest casita, water system ( minerals & softener), shop/workbench. You pay transfer. " A Real Steal", must sell ( Health Reasons). 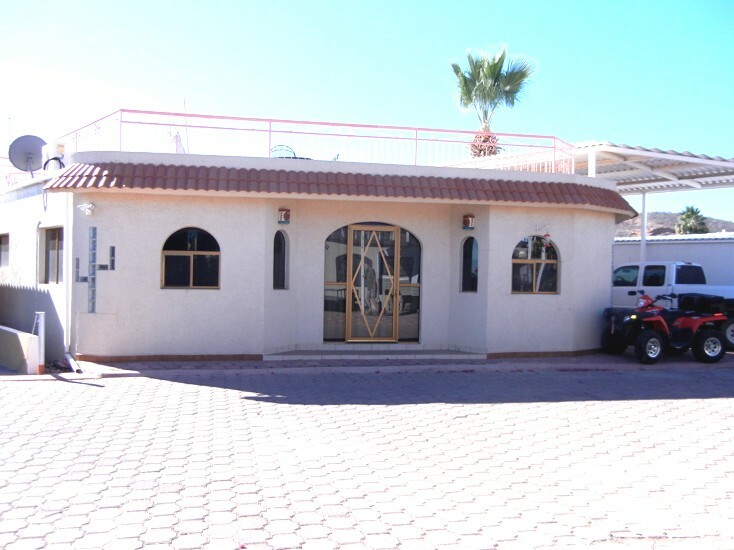 3 bedrooms, 2 bathrooms, furnished, washer/dryer, wet bar, AC/heat in every room, water pressure system, large ramada with shop, place only 4 years old, large new country kitchen, patio with built-in BBQ, sun deck with ocean view. Reduced price. 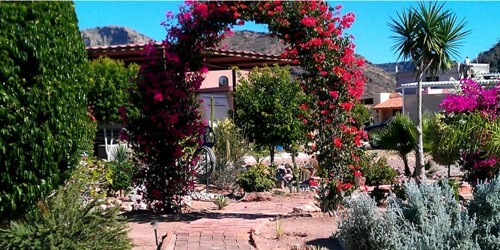 Corner lot with outstanding unrestricted view of mountains, desert & water. 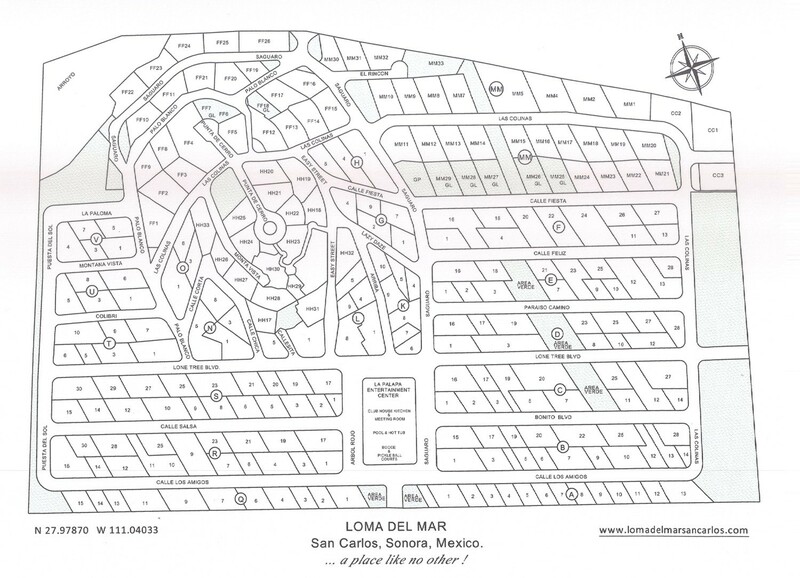 Large 775m2 Estates lot approved for building 2 story home. Adoquin lot w/, w/RV hook-ups, Parking for 2 boats/trailer. 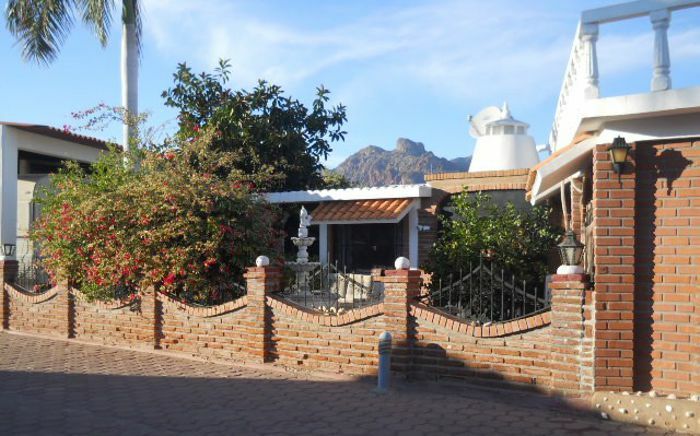 Estates bungalow lot, ocean and mountain views, adjacent to garden lot and small green area. 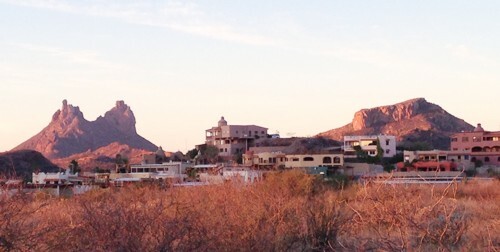 Estates lot with view of ocean and mountains. Can build 2 stories above road on top of hill. 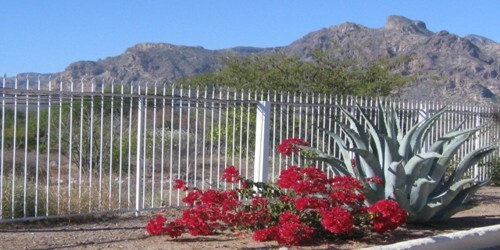 Estates lot with view of ocean and mountains, next to greenbelt. Estates lot - Sewer electrical and water have been connected ready for an RV or building a 2 story home. Greenbelt on both sides, front and back driveway access.